Now the fun part! Running the wiring and mounting the switches. 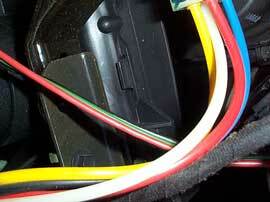 The wiring harness supplied with the switch kit needs to be carefully routed under the dash. 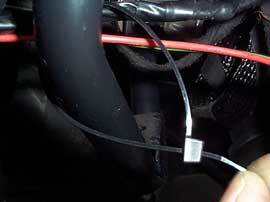 The harness is spread out evenly and cable ties are used to hold it up and out of the way. The end of the loom with the majority of connectors goes to towards the drivers side . Caution is used to avoid moving objects like the brake and gas pedals and heater linkage.